Oh Fall! School, routine and cooler temps all around. But in our home, we celebrate the extraordinary in the ordinary! We dress up, accessorise and go full on fancy-- both with our food and our fashions…. a weekday tea party does all of this! 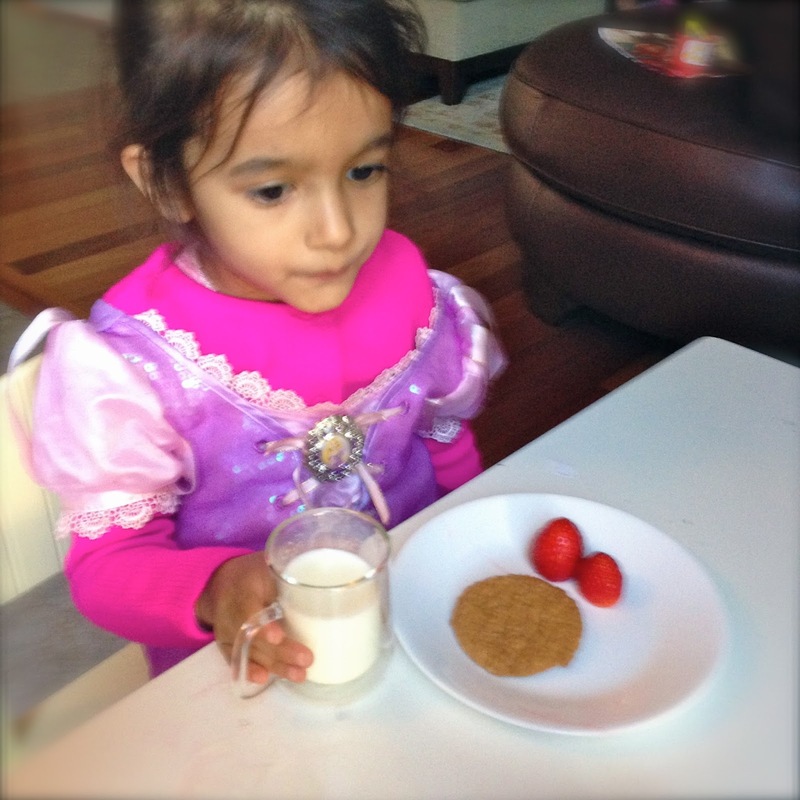 It doesn't take much, just a little pre dinner treat for the littles, some warm milk and some chai for mama. For my chai option, I was thrilled to receive samples of Tea India's chai moments to try! We keep it simple and a little healthy! Of course dress up is par for the course. I said no to the eye shadow on a Monday but yes to the sparkly dress. They love their teeny-tiny glass mugs. Don't let dad know, they're his espresso cups. Of course lots of chatter ensues about the day. School. The most popular kids. How I should wear my hair. Why she wants to take martial arts (to beat up the boys). Who they will marry. Why we should have a pet. Lots and lots folks. I don't make this stuff up and I love to hear all the little stories. I hope and pray they will confide in me more and more as they grow up. A was more in a listening mood-- with her 'very hurting cold'-- her words! 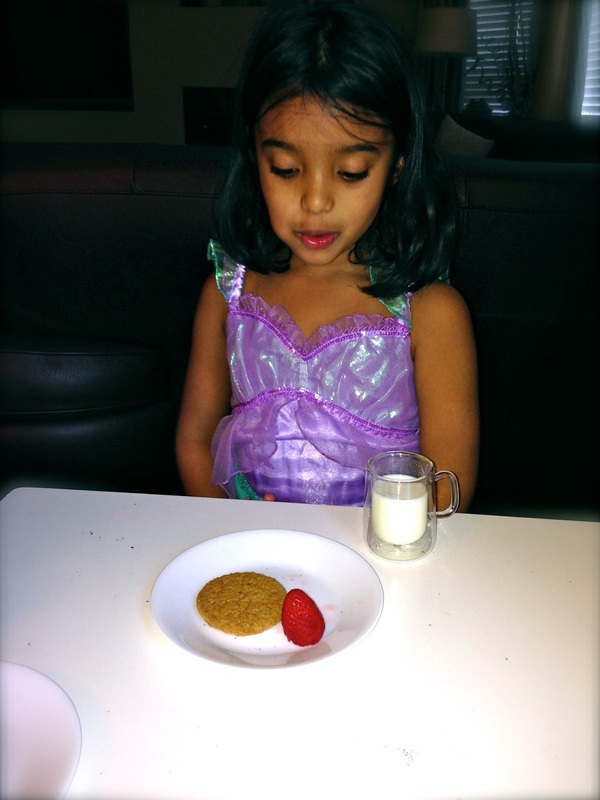 She did manage to stuff a whole strawberry in her mouth though. 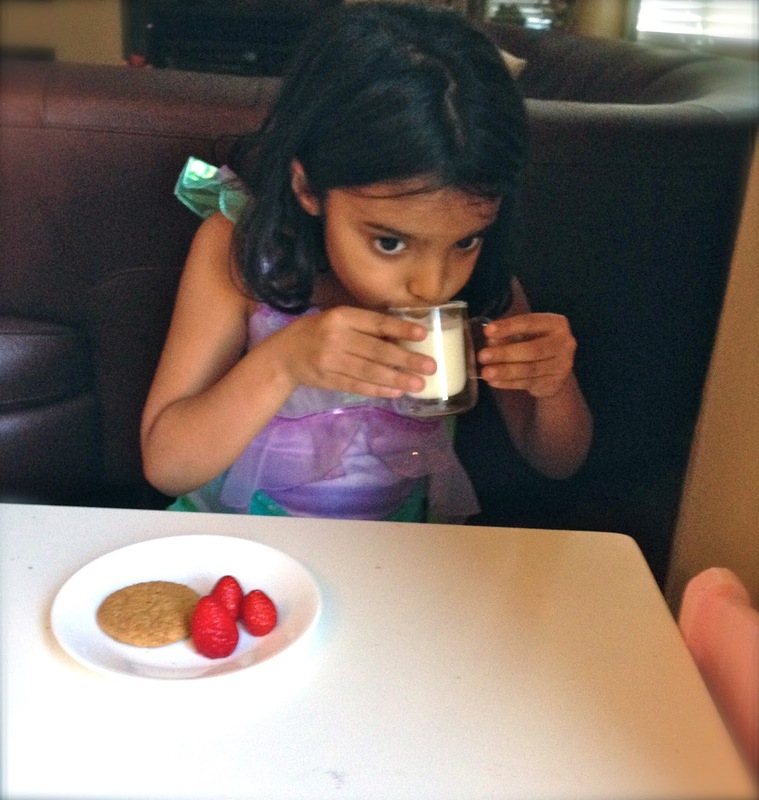 The Chai Moments were the perfect mid-afternoon snack on a cooler afternoon. Currently available in Milk Tea, Cardamom, Ginger and Masala, there is lots to choose from. You just add six to eight ounces of hot water to your favourite blend, mix and enjoy. 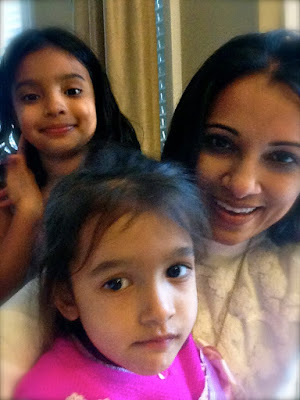 I love a cup of chai but for our 10 minute tea parties, it's a lot of work to make a cup of homemade chai for just me. These little packets are super convenient. I tried the Milk Tea first and will slowly (okay, maybe not so slowly) make my way through the others. It was delicious and reminded me of the chai you sip at the end of the meal at parties! A true treat. Next up, I'm thinking I'll do the cardamom. Or the masala. Or maybe the ginger when I'm a bit under the weather…. oh, the options I have! And of course a mid afternoon selfie before all was done! Afternoon Tea Time. I see this tradition continuing for us for years and years to come. What fun traditions do you have with your kids? Do you like chai? Have you tried Tea India's Chai Moments. 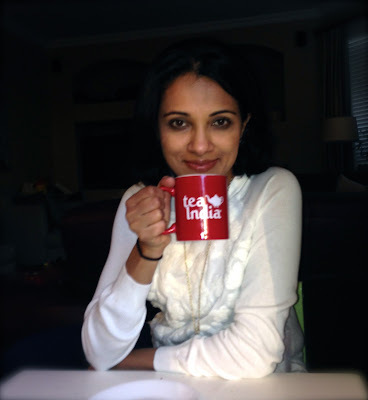 You can learn more about Tea India on their website, and Facebook page. This post is part of a sponsored campaign on behalf of the South Asian Bloggers Network for Tea India and I have received compensation for this post. All opinions, however are always my own. 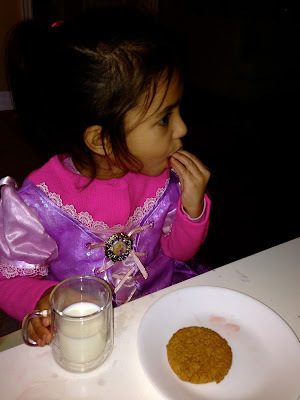 Little girls and tea parties! So sweet! I can only imagine the conversation lol. Awww. You make chai tea party sounds like fun, especially with milk, cookies and strawberries, adorable princesses in their princess dresses and accessories surely complete your tea party and what a smart way to bond and learn their little secrets. I cannot wait to try all the flavors of tea India chai moments, especially we weight watchers. The girls look adorable . What a fun mother and daughters date. I think I'm long over due for a tea party with the kids! P.s. I love the cardamom flavour! We love tea parties in our house too!!!! And I love chai - especially this time of year. It seems so festive for fall!! So much fun! Nothing beats a cup of tea in the middle afternoon if you ask me. Having that cup of tea with the girls, even better. I love this and I think I need a fun little tea party with Mila ASAP!